Three (3) Society of Medalists bronze medals. 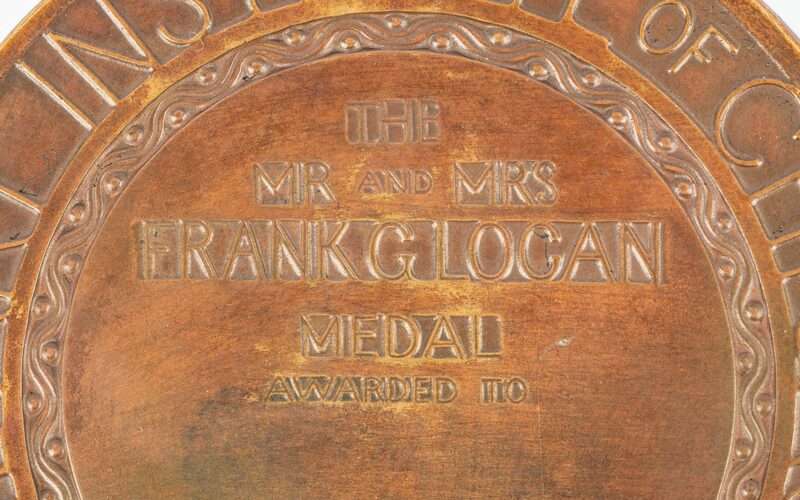 1st item: Society of Medalists, 2nd issue, medal designed by Paul Howard Manship (New York/New Hampshire, 1885-1966). Grape crowned bearded god of wine over a shallow kylix, obverse, youthful satyrs trampling wine and copyright symbol, "P. Manship 1930", reverse. Around rim, in two lines, "Hail to Dionysus Who First Discovered the Magic of the Grape". 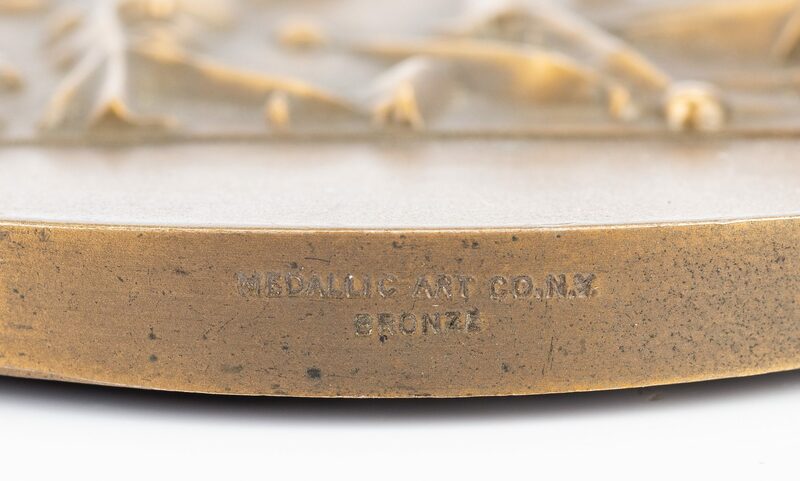 Marked along edge "The Society of Medalists Second Issue" and "Medallic Art Co. N.Y." 2-3/4" dia. 1930. 2nd-3rd items: Two (2) Art Institute of Chicago Mr. and Mrs. Frank G. Logan Medals. One (1) designed by Emil Zettler (Illinois/Germany, 1878-1946), depicting three Grecian figures, marked along edge, "Medallic Art Co. N.Y.". 3" dia. 1919. 3rd item: One (1) designed by David (Roland) Smith (New York/Indiana, 1906-1965) with contemporary industrial and Asian imagery, marked on edge, "Medallic Art Co. N.Y. Bronze". 3 1/4" dia. 1956. Provenance: The Estates of Olen Bryant and the late Vanderbilt University art professor Thomas Brumbaugh, Clarksville, Tennessee. CONDITION: Overall good condition. All in circulated condition.